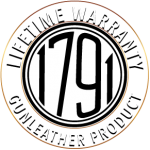 Miami, FL, U.S. – (September 18, 2018) 1791 Gunleather®, innovative manufacturer of premium hand-crafted leather gun holsters and belts, today introduced the next evolution in premium leather holsters. The new “Project Stealth” gun holster series by 1791 Gunleather combines American heavy native steerhide with state-of-the-art flexible carbon fiber for the first-ever holster utilizing a proprietary, patent-pending combination of the two materials. The new line of luxury, wearable personal protection holsters incorporates the same patented, American-made CX6® carbon fiber manufactured by Carbitex, that is used by well-known premium brands in the modern automotive, high-end luggage, and professional athletic apparel markets. “By combining premium American, heavy native steerhide with high-tech, flexible CX6 carbon fiber, every day carry just became significantly more comfortable while achieving an unprecedented level of performance,” said Romani. “The Project Stealth series of holsters boast the broken-in feel of leather combined with the strength and durability of flexible carbon fiber. Your sidearm is surrounded by premium leather on the inside, and further protected by durable carbon fiber on the outside,” he said. The 1791 Gunleather passive retention system is perfected by adding flexible carbon fiber to the mix. “And, while the carbon fiber you’re used to seeing in holsters is lightweight and strong, it’s also very rigid, inflexible, and tends to scuff your firearm. The advantage of using the state-of-the-art CX6 carbon fiber is that its malleable,” Romani said. CX6 technology harnesses carbon fiber’s trademark strength and lightweight characteristics in an adaptable form, and does not stretch. 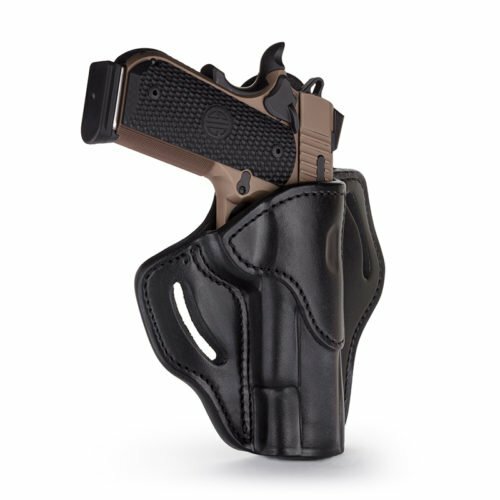 According to Romani, the holster has been engineered to provide a new level of function for wearers through its enhanced strength, suppleness, and superior firearm retention. “Project Stealth pancake-style holsters contour to the body in the same fashion as our premium leather holsters, while presenting a reduced carry weight, and enhanced retention for the most discerning folks,” said Romani. “However, where our competition sells standard quality, leather-only holsters in excess of $120, the patent-pending Project Stealth holsters are being introduced at less than $100,” he said. 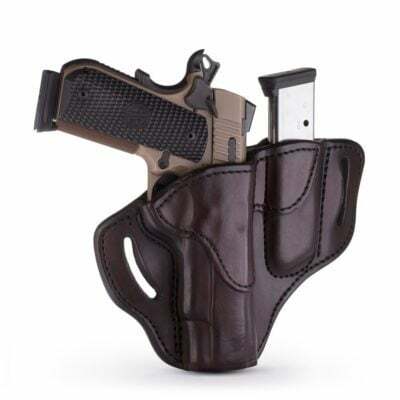 “For the most reliable and comfortable all-day carry holster, choose the 1791 Gunleather Project Stealth holster that best fits your personal firearm. Handcrafted one at a time, Project Stealth Holsters are the most rigorous and distinctive holsters you’ll ever own,” he said. Used by the worlds’ most discerning brands to push boundaries like never-before, Carbitex CX6 technology platforms are engineered to create an entirely new product experience through functionality. CX6 represents a new standard, proven by numbers, and felt by athletes. CX6 carbon fiber is a dense, intricately woven material, engineered with a wet-infusion process that yields the highest tensile strength of any commercially available fiber. Carbon fiber’s trademark strength and lightweight characteristics are enhanced by CX6 technology harnessing an exceptionally flexible form, no stretch, and superior lightweight properties. For more than two centuries, the Second Amendment of our great United States Constitution has protected our rights, as citizens of this nation, to keep and bear arms. At 1791 Gunleather, our love and appreciation of the Second Amendment goes hand-in-hand with our passion for the art of gunleather and our respect for the original patriots of this great nation. 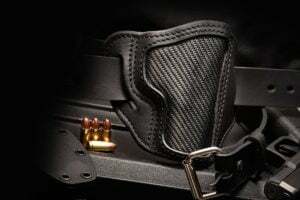 To us, sheltering your coveted firearms with carefully handcrafted holsters and belts is akin to protecting our loved ones and cherished freedoms. 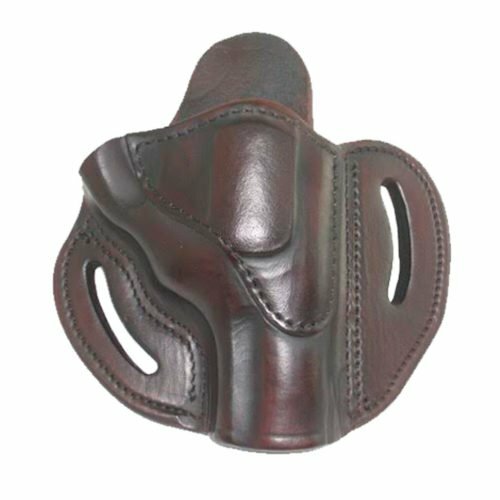 Sold in more than 1,200 dealers across the Country, 1791 Gunleather products are made only from the best premium American 100% Certified, Heavy Native Steerhide. Four generations of professional leather artisans meticulously handcraft each holster and belt into beautiful, functional vessels befitting your most prized firearm.